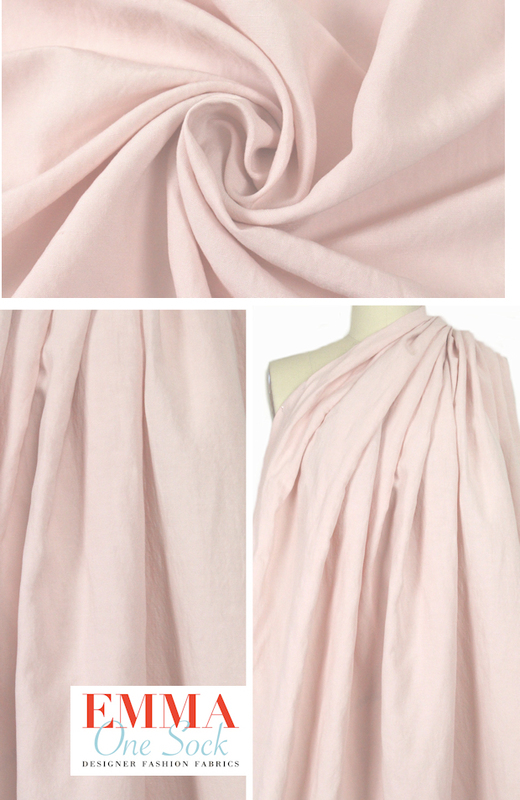 This is a beautiful quality linen with a slightly slubby texture in a lovely and on trend pale pink blush tone (PANTONE 11-2309-ish). It is a shirting/dress weight, soft and malleable with some body to its drape, opaque, and suitable for shirt, dress, tunic, skirt, etc. Dry clean, or hand wash and hang or lay flat to dry.